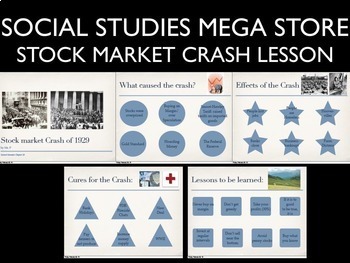 This is a great way to cover the variety of causes for the stock market crash. This allows discussion and note taking at the same time. 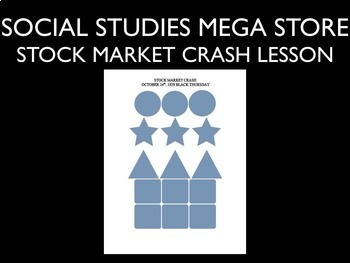 I look forward to this lesson every year and will continue to teach the 1920's stock market crash this way so my students can learn about the crash and receive some practical advice on money. 4. 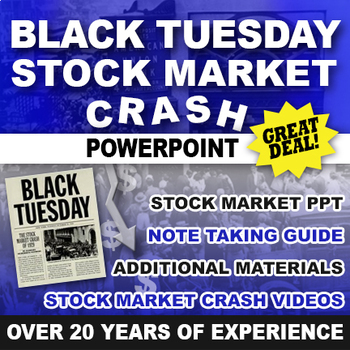 Additional BONUS material: You will receive some different materials that will allow the teacher to extend the activity or just read up on the stock market crash yourself. 5. I have also included Crash Course Ep. #34. This lesson is one of my favorite lessons as it gives me an opportunity to talk with the students about real world economics and some great ideas regarding investing and their future.